While this is just generally good advice in life, it’s especially true when going online. 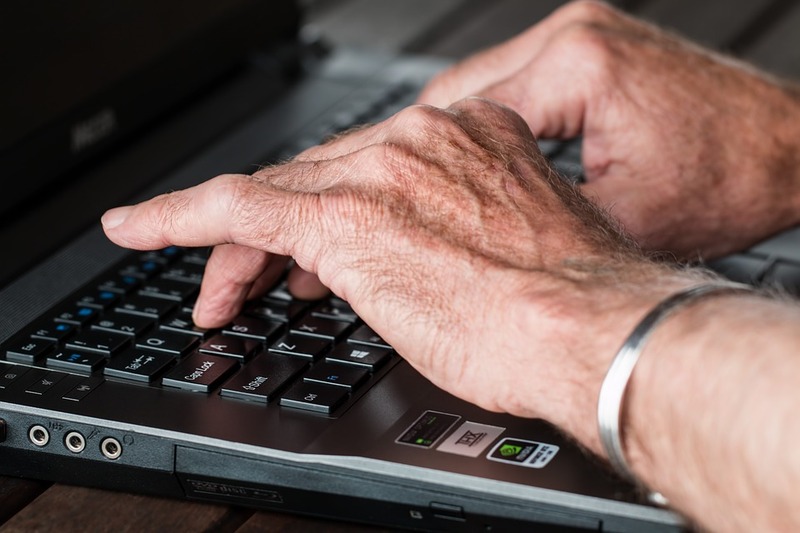 Learn to use the content management system running your site, learn the details of your email system, every bit you learn will allow you to get the most bang for your buck out of all of the services you’re using. 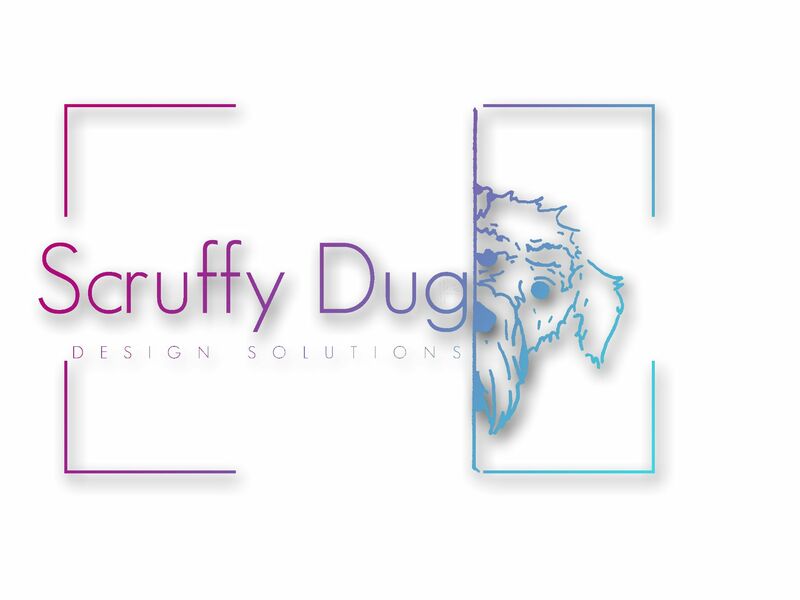 While I’m not suggesting you do all your graphic and web design yourself, knowing the basics will give you a clearer idea of what can be done, and allow you to work with the expert you bring in more closely and create an end product closer to your wishes. It would be nice if you could just set up your business and leave it to go, but if it was that easy everyone would be doing it, and there would be no market share left for you. And while we’re not suggesting that you say goodbye to your kids until they graduate, tt requires time and effort to be successful. This cannot be underestimated, when setting up on your own, everything you take for granted when working for someone else is now your responsibility, making sure bills are paid, the correct documentation is filled out, the client meetings attended, everything. So scheduling your time is vital, find a system that works for you, laying out what you’ve got to do, day by day, hour by hour if necessary, and get tasks onto your system as they come up, even if they’re not due for 6 months, because sure as fate those six months are going to whiz by. You’re going to have to spend money, that’s just the way of life, there’s no way you can found your company and set up its operation for free. However, you should be careful with your money, especially if you’re going to be stuck with the results for some time, make sure your hosting company is good by checking online reviews, do the same for any equipment you need, remember the old saying “spend in haste repent at leisure”, every time you curse that service, that piece of faulty equipment you bought without researching it fully first, by spending a little time, you could have saved money, time and effort later. You are not going to be an overnight success, if you look at those that appear to have just struck it rich, you’ll find a whole load of work was done first, or several failures marked the road to that success. But remember, failure is only the end of the road if you let it be. Learn from your mistakes, and you’ll be better next time you encounter a similar problem, and if you keep plugging away at it, these problems will just be speed bumps on your road to success. How a small business or start up is perceived is important. New or small businesses can sometimes struggle to compete with larger or more established outfits for a number of reasons. It’s important to take whatever steps you can to enable you to compete and network on the same level. You don’t want seem like you’re peering round the corner to see what the cool kids are up to. You want to walk up and fit right in. Visibly operating in a professional manner will help immensely with this. Firstly, be confident when you’re talking about what you do, use phrases like “I will do that” not “I’ll try to do that” or “I think I can do that”, your customers need to trust that you are more than capable of doing the job. That said, you should always be open and honest when you are offering an opinion, this will reinforce that you are an expert and ensures that your integrity remains intact. Always have your goals clearly mapped out so that you never fail to explain who you are, what you do and why, that way you’re never caught off guard. It’s also a good idea get into the habit of concentrating on what the people that you are dealing with actually need. This is the basis for being able to develop your perception skills so that you can anticipate solutions to possible problems, again adding to your overall effectiveness. Having the right website has a huge impact on the image of your business, as you know from our previous blogs. Having good quality photographs or graphics is key for grabbing attention and creating immediately positive impressions. It’s also important to back that up with other small things that add to your professionalism and ultimately the confidence you instil in potential clients. This includes business cards and dedicated phone numbers and email addresses – it makes a much better impression to have your business name rather than something like @hotmail to give out to customers or when you’re networking. Depending on what type of business you are in a uniform can be a significant step in portraying professionalism, simply sticking to a colour scheme or having your logo on your t-shirt you can build a positive reputation for your company. This also applies to your workplace, whether that’s your home, a restaurant you meet in, or an office. There are lots of things to think about and first impressions count so remember to layer up elements of your image as and when you can afford them. For example, hold music; playing music while someone is on hold is part of good customer service but it has other benefits too. The variety of music needs to be an appropriate fit for your business, so that it enhances your image. You can make good use of hold time by including small informative pieces, don’t go with the “your call is important…” type stuff that bores or annoys most people. Instead, you should share information about new products or your range of services. The time will pass quicker for your customer and you have the chance to promote to a temporarily captive audience. You believe in yourself enough to enter into the world of business, but sometimes it’s good to take a step back and make sure you portray that belief and make it infectious. It’s good to be humble, but don’t be meek. Stop peering round the corner; come on in and get noticed. Or click the links bellow to find us on Facebook and Twitter. When you’re starting out in business you want to keep spending to a minimum. Expenditures are weighed up, deliberated over, and some will wake you up at 3am and insist you ponder till the birds start singing. For many people starting up a new business, or trying to cut costs in an existing one, office space can be the source of many stress headaches or sleepless nights. More and more people are opting to operate without a bricks and mortar base. So, office or no office – what’s the best option? It’s arguably much easier to maintain a team mentality and a sense of inclusion if everyone in your team is in the same place but there are other benefits from having an office base. Your team are more likely to learn from each other organically as they converse about the projects they’re working on and any stumbling blocks they’re encountering. Casual conversation can actually help to keep the whole team informed and working together as a unit. Some people are more likely to thrive in a professional environment, being able to physically separate home life from work life helps focus and it often makes them more productive. By having your team together in one place you can reinforce your company’s ideals and goals through your office branding. You can also monitor consistency in your team and your meetings or presentations will have a human touch. Having an office is expensive. It can be a huge drain on the resources of a small business and with so many effective methods of communicating and connecting readily available it’s entirely possible to run your business with each team member working from home. As well as being able to communicate via email, telephone and Skype, you can also use project management software that helps your business function well in a virtual world. You can create an inclusive environment by using things like Google Chat to allow people to have the same type of informal conversation they would have in an office. Many people are more productive when they can work in their own space, without the distractions that come with working in an office. Similarly, people who work on the move and choose to work from different places are often found to be, not just productive, but creative because they receive a wider variety of stimulus and interaction than those who are based in an office. It comes down to what works best for your type of business and which approach is best for your staff. There are undoubtedly many reasons for and against but is there a middle ground? There is always a third way, and if neither of the above options seem quite right for you, hot desking may be the answer. If you don’t want, or can’t afford your own office space, there are options available where you can reap all the benefits of an office for a fraction of the outlay. Not to mention the time saved in administration and replenishment of sundries that come with running an office. There are organisations out there who offer space to rent in their office on a desk by desk basis. This way you have access to the internet, printers, tea and coffee facilities, meeting rooms, etc., without the headache of running your own gaff. This way you can scale and grow your business naturally, moving to premises of your own eventually, once you have the need. It gives you a fantastic opportunity to network with other new businesses and in some cases hot desk offices will have experts on hand to offer advice and assistance. With a hot desk you can have the best of both worlds, a few less sleepless nights, and get on with growing your business. There are options beyond the traditional office for companies willing to think outside of the box. Don’t get trapped by your preconceptions, if you want to be in a professional environment, find a business space, whether your own office or a hot desk. On the other hand, if you feel like you’re stuck in a corporate machine you can shred its constraints and fly free, work on the move. Or find a new way that specifically meets your needs. Business favours the innovative, don’t be afraid to be different. The colours in your logo and branding are often the basis for first impressions so it’s important to make sure the colours are appropriate and portray your intended image. There are countless examples of branding out there that conform to a select colour group, that’s not a random thing; colour schemes provoke emotional responses that affect our attitude toward a product or service. Companies carefully select colours purposefully. Just for starters we’ve outlined four basic colours and what they represent. Red is used to denote power, ambition, boldness and strength but also passion, action, excitement and energy. Unsurprisingly in that case, many of the most instantly recognisable logos are red, and even though they’re worlds apart they do tick at least one of the boxes for red connotations. For example, Santander, Virgin, Lego, Mitsubishi, Kellogg’s and The Rolling Stones are each appealing to completely different markets but they’re using red to capture the essence of what they are all about. Yellow is often used to motivate and encourage. It’s seen as a welcoming colour indicative of freedom, impulsiveness and optimism. That being the case yellow seems the obvious colour choice for a wide range of logos and it’s used by all sorts of companies, from Post-It to Ferrari, even in band logos, like Nirvana for example, and information sharing businesses like IMDB or Yell.com. As you might expect green is used in a lot of environmental fields, or by companies trying to portray a more nature-friendly, fresh image. It also signifies growth, suggests safety, prosperity and restoration as well as health and wellbeing. It’s for these reasons that we see green appearing in logos for supermarkets such as Waitrose and Asda, recreationally for example the Holiday Inn logo, in food products like breath mints, in agriculture take John Deere for example, or in fuel companies as with BP. Blue is a colour that people tend to associate with trust, openness and awareness as well as determination and control. Many companies have used this to their advantage, once again covering a variety of organisation types, from Twitter and Skype to NHS or Oral B, Ford, PayPal and Hewlett Packard. Blue also appears in music related logos like iTunes and Napster and is often paired with other colours to generate multiple associations, for instance Pepsi paired blue and red or Pampers who paired blue with yellow. As you can see you can say a lot with just a colour, and perhaps find a way to connect with your customer early on. We look at more colours later in the week in part two. 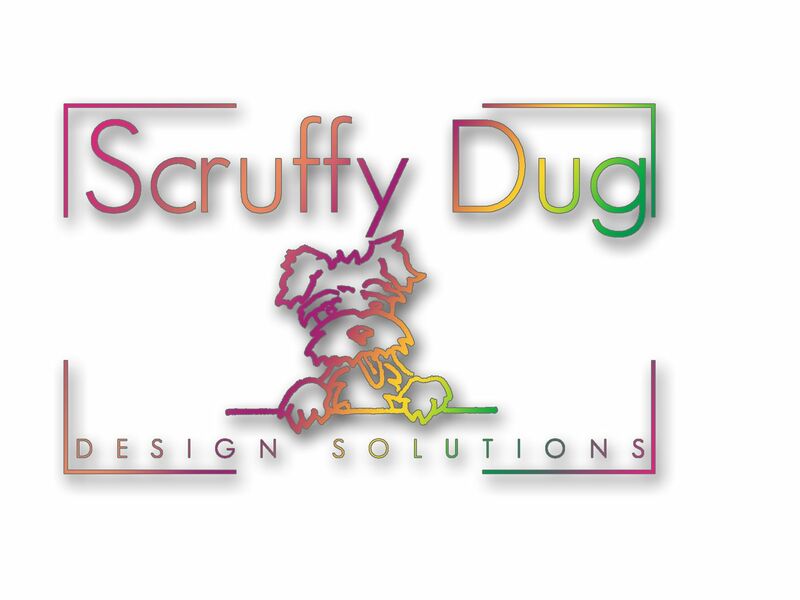 In the meantime, click the links below to hear more news from Scruffy Dug on Facebook and Twitter. Many people dream about starting their own business but never quite get the ball rolling. It’s really easy to come up with excuses, many of which appear to be completely valid but some of the most common reasons for not branching out on your own are easier to surmount than you might think. The financial impact of starting a business can be daunting but there are plenty of options out there that offer guidance and funding for start-ups to help you get on your way without having substantial cash reserves of your own. One option is to look for ‘angel’ investors, friends and family who can contribute to the business. You can also try crowd funding, an increasingly popular method for fundraising, through platforms like Kickstarter and Gofundme. Other options for financing your business are the Prince’s Trust, Business Gateway, Entrepreneurial Spark, Scottish Enterprise; each of these organisations not only has the ability to provide funding but can give you information and sometimes even mentorship. There’s no doubt that getting a business on its feet can be stressful and time consuming. Feeling like you don’t have the time in between work and family commitments is a stumbling block for many budding entrepreneurs. Making sure you make the most of how you spend your time can eliminate this to a significant extent. Prioritise your free time to take constructive steps to develop your idea and put your plans together. Allocate a portion of your time each day to your new venture, stick to a plan to help you stay focused. A lack of experience in management often puts people off a new venture, or doubts about their ability to be a good boss. From the initial idea, to the operation of your business, confidence is important. It’s much easier to talk yourself down and convince yourself you can’t manage a team. Don’t make that excuse, developing managerial and leadership skills happens through experience, you’ll be amazed at how well you can guide people when you believe in an idea. Remember you don’t have to do it on your own; many of the operational aspects of your business or time consuming projects can be outsourced. This allows you to spend more time concentrating on advancing your leadership skills through hands-on experience and evolving your techniques and enhancing your company.